Application Area: all kinds of embedded image acquisition systems,for example:Remote monitoring,vehicle monitoring,video doorbell ect. Especially Image transmission such as those based telephone lines,GPRS CDMA,data radio and other low speed channel remote video surveillance system. 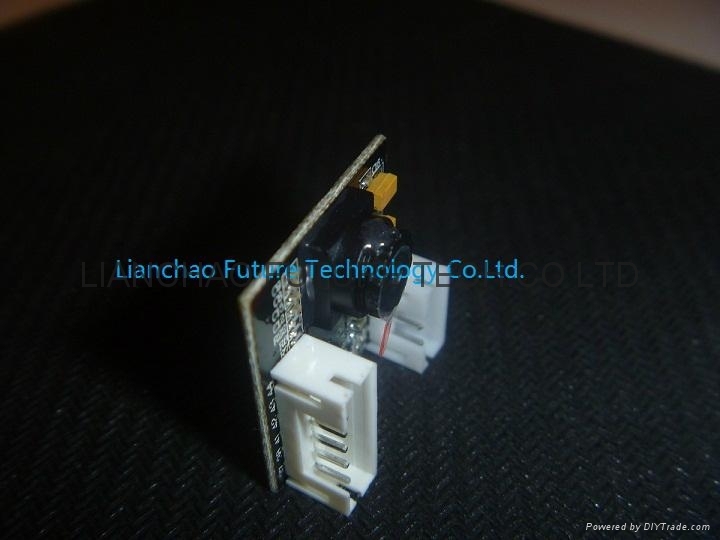 1.UART standard serial port andSPI high speed serial port,it can take photos and uploaded the image data to host computer. 2. 300,000 pixel and CMOS sensor,high frame rate camera,it can observe and capture moving objects. 3. Video output CVBS signal and can be achieved locally monitor and external DVR. 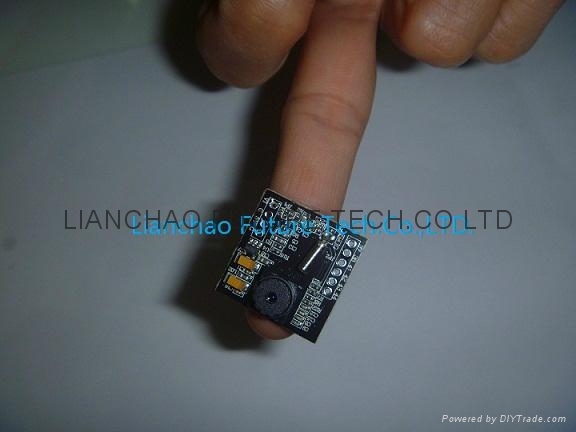 4.TTL level, ultra-small size,can be installed in different products flexibly. default one is 38400bps or 115200bps. 5.Image data：JPEG image,image size can be 640*480 at most,default one is 640X480. 9. Working Temperature： -20℃ ~ +60℃,Storage Temperature：-30℃ to 70℃，Humidity：90%RH.